Says any parent with medical equipment or a unique kid. **I asked permission from Bar Bumpers prior to posting. 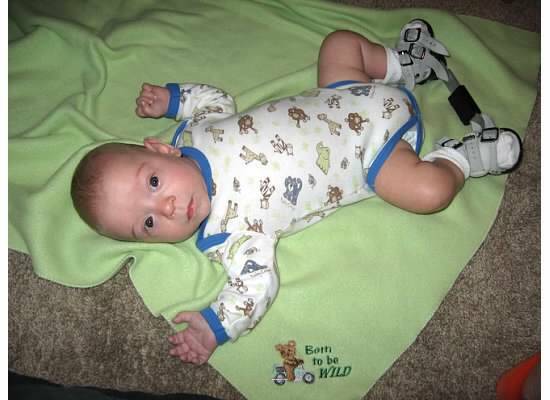 We have always used the sleep sacks to keep Drake warm in his “nite-nite” shoes, but I absolutely love these. Bar Bumpers will custom embroider a bar bumper and shoe covers. I should take a picture of our changing table, cradle, and crib to show the damage that is wrought on wooden furniture by a kicky baby with an large metal bar. D in his “boots & bar” at 6 months actual. I love the craftiness and the practicality of these sets, but the message of this one is what really stopped me in my tracks this morning. Last summer, Drake was on his last 2 rounds of casting for his clubfoot correction just as we came out of RSV isolation post- NICU discharge. I was still in the fragile, guilty new preemie mom stage. We decided to go to a popular brunch restaurant early one morning. 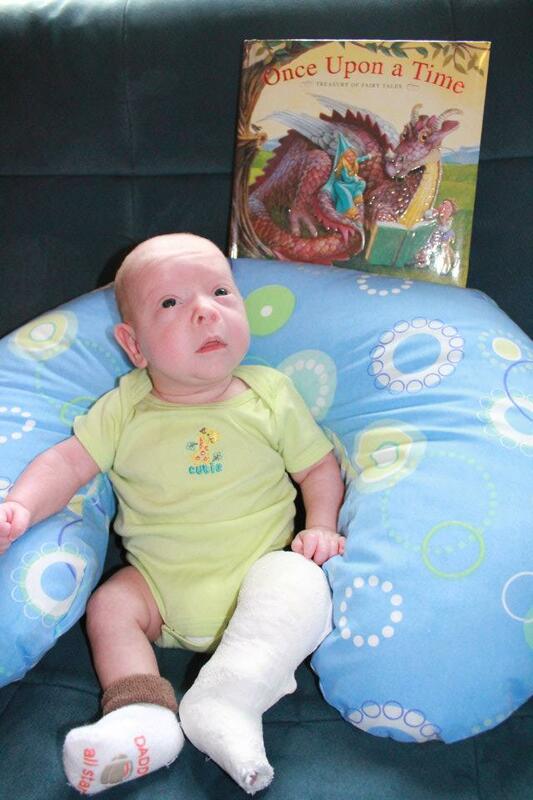 Of course, I felt like people were staring me down as I carried my newborn-sized infant with a hip to toe cast on his left leg. The looks you get make you feel like social services is going to jump out and grab your child any minute. After casting, the Ponseti correction method continues with 23/7 bracing for three months. Ask, don’t stare, ladies and gentleman. Most parents are going to be willing to educate you if asked politely and having a good day. I love these whimsical boot and bar covers. I really need to reach out and see if she’s willing to ship to the US. You can view all the Bar Bumper offerings on their website http://www.barbumpers.co.uk/.